Lithuanian Tricolor Amber Strand Necklace, "Baltic Treasure"
Nuggets of natural Lithuanian amber shading from lemon yellow to honey to dark coffee form a unique long strand necklace. Due to ancient inclusions buried within the resin, no two necklaces will be exactly alike. 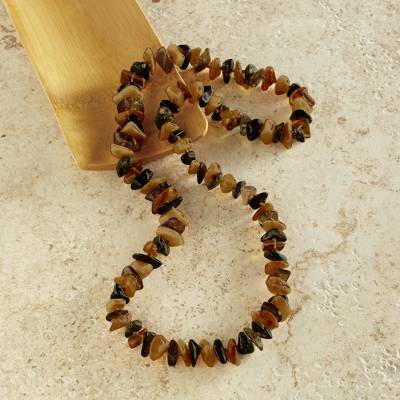 "Lithuanian Tricolor Amber Strand Necklace"
This is a beautiful necklace!